Designed to keep comfort and cushioning levels up and temperature levels down the Wave Rider 22 has a dual compound midsole constructed from U4icX and U4ic and wave cushioning technology for a shoe that’s secure and just waiting to spring into action. With a fully breathable, lightweight mesh upper, your feet won’t be over-heating as you’re over-taking. 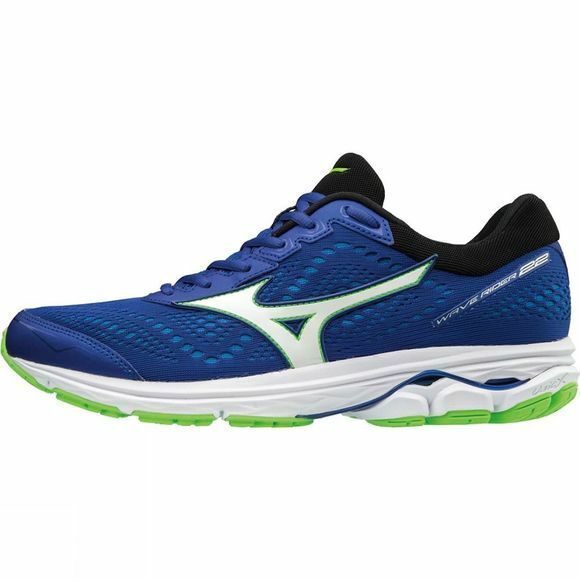 Wave delivers an unmatched cushioned and responsive ride. Light and breathable full engineered mesh upper to ensure durability and snug fit. Perforated midsole under the heel ensures an even softer landing. 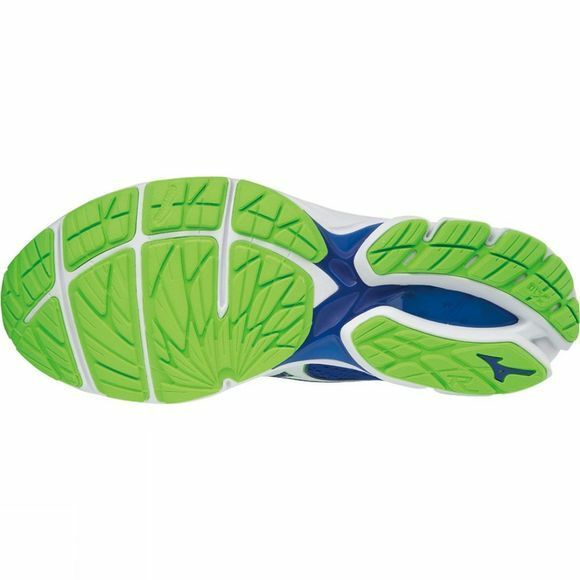 For over 100 years Mizuno has been at the forefront of sports craftsmanship and technical innovations with shoes and apparel that work in harmony with your body, so you can go faster and further than ever before. Mizuno running shoes have a minimal impact when compared to its competitors due to the Mizuno Wave midsole technology.